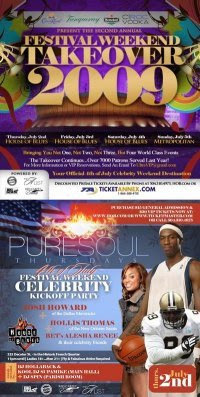 ashlee nicole spills | blog: Pure Soul Festival Kickoff Party @ HOB. Josh Howard of the Dallas Mavericks, NFL Player, Hollis Thomas, and BET's Alesha Renee. Special guest appearances by their celebrity friends.